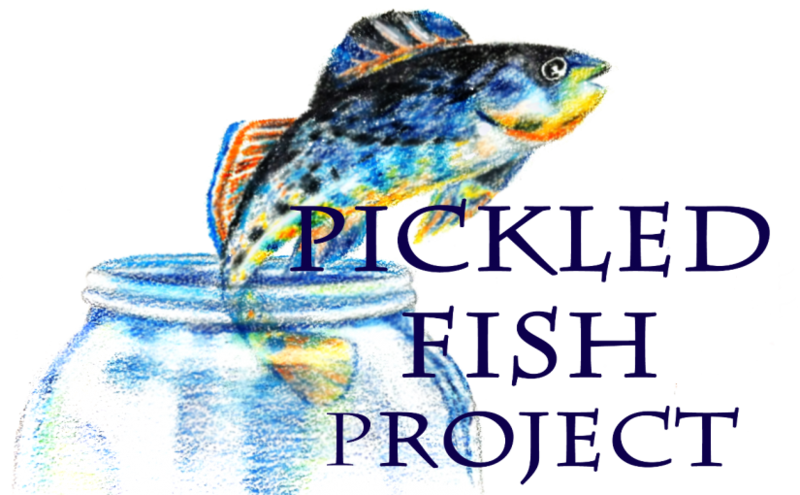 A collection of articles and opinion that complement the dialog necessary for solutions to problems deemed challenging. What’s a safe distance between us and a supernova? 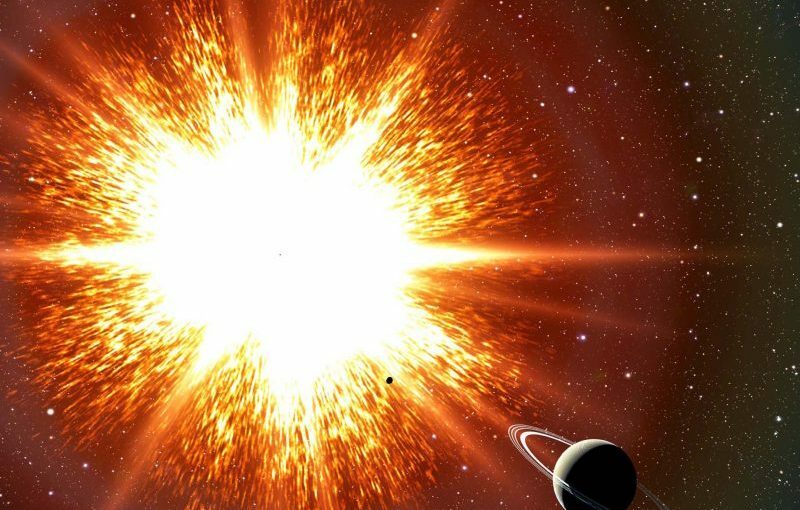 … were a supernova to go off within about 30 light-years of us, that would lead to major effects on the Earth, possibly mass extinctions. X-rays and more energetic gamma-rays from the supernova could destroy the ozone layer that protects us from solar ultraviolet rays. It also could ionize nitrogen and oxygen in the atmosphere, leading to the formation of large amounts of smog-like nitrous oxide in the atmosphere. The main star in the system – IK Pegasi A – is an ordinary main sequence star, not unlike our sun. The potential Type I supernova is the other star – IK Pegasi B – a massive white dwarf that’s extremely small and dense. When the A star begins to evolve into a red giant, it’s expected to grow to a radius where the white dwarf can accrete, or take on, matter from A’s expanded gaseous envelope. When the B star gets massive enough, it might collapse on itself, in the process exploding as a supernova. Read more about the IK Pegasi system from Phil Plait at Bad Astronomy. When will it happen? Probably not in our lifetimes, but no one really knows. It could be tomorrow or a million years in the future. When it does happen, any beings on Earth will witness a spectacular event in the night sky, but earthly life won’t be harmed. That’s because Betelgeuse is 430 light-years away. Read more about Betelgeuse as a supernova. Bottom line: Scientific literature cites 50 to 100 light-years as the closest safe distance between Earth and a supernova. Posted on May 11, 2018 May 11, 2018 Categories Astronomy, Contributed, Learning, PhysicsLeave a comment on What’s a safe distance between us and a supernova? THE BEATLES’ REMARKABLE catalog includes just one official live album, and the group’s immense popularity made it unlistenable. The Beatles at the Hollywood Bowl, recorded in 1964 and 1965 but not released until 1977, was always a frustrating listen. Try as you might, you simply cannot hear much music above the fan-belt squeal of 10,000 Beatlemaniacs. You can’t blame the Fab Four, nor their legendary producer George Martin. Martin did what he could with the three-track tapes, but the limitations of 1970s technology did little to elevate the music above the din. Boosting the high frequencies—the snap of Ringo Starr’s hi-hat, the shimmer and chime of George Harrison’s guitar—only made the racket made by all those fans even louder. All of which makes the remastered version of Live at the Hollywood Bowl especially impressive. The do-over, which coincided with the August release of Ron Howard’s documentary film Eight Days a Week, squeezes astonishing clarity out of the source tapes. You can finally hear an exceptionally tight band grinding out infectious blues-based rock propelled by a driving beat, wailing guitars, and raspy vocals. This album never sounded so lucid, present, or weighty. Technological wizardry helped uncover the hidden sonics. But don’t think you can just run out and buy the same software to make your crappy Can bootlegs listenable. There’s no checkbox in ProTools to reverse-engineer a lousy recording. To get a sense of what the team at Abbey Road Studios did, imagine deconstructing a smoothie so you’re left with the strawberries, bananas, and ice in their original forms, just so you can blend them again from scratch. To do that, James Clarke, a systems analyst at Abbey Road Studios, developed a “demixing” process to separate each instrument and vocal track from the cacophony. He isolated everything Ringo, Harrison, Paul McCartney, and John Lennon played and sang, separated it from the din of the crowd, and effectively created clean tracks to remaster. Fittingly, Clarke’s audio-modeling process used spectrograms—imagery you might associate with ghost-hunting—to bring the spirit of these live performances back to life. Clarke passed that test. Then came the real challenge: Working with those three-track source tapes from the Hollywood Bowl to create digital models of each instrument, the vocals, and the enraptured crowd. From there, engineers could tweak each track to create the final mix. After creating spectrogram models of each instrument, he loaded the files into what he calls his “little controller program.” A few hours later, it gave him a clean track of the instrument he modeled. All of those tracks went to the mixing engineer. From the start, Martin hoped to make the recording as lifelike and accurate as possible. “I wanted to know what it was like watching the Beatles play live,” he says. Clarke’s process could breathe new life into other old recordings. He and Martin say a few other bands have asked them about working a little magic on the live shows in their own archives, though they wouldn’t name names. 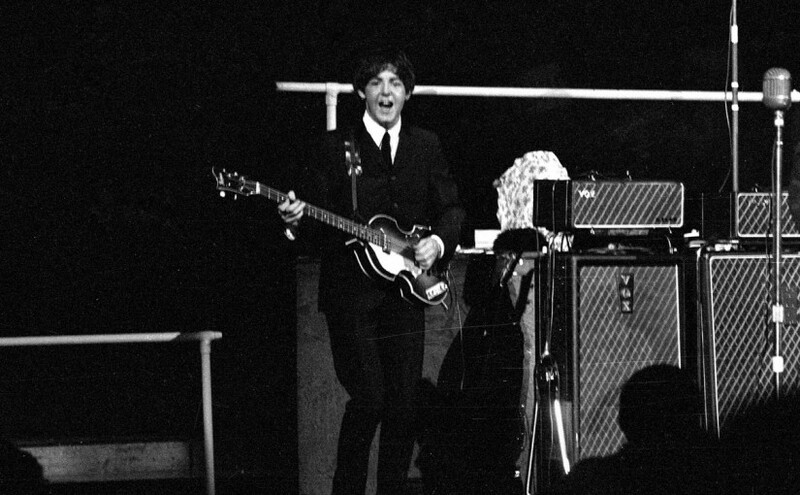 The Beatles at the Hollywood Bowl is a live album, and Martin and Clark decided to leave a little crowd noise in, even though Clarke says he achieved “nearly full separation” of the music and the audience. As with Bob Dylan’s 1966 concert at “Royal Albert Hall” and Johnny Cash’s gigs at Folsom and San Quentin prisons, the recording wouldn’t have the same energy without a little cheering and screaming. In the end, the remaster dropped the crowd noise by about 3 decibels. “They could have pushed it a lot further if they wanted to,” Clarke says, “but I think they got it spot on.” After almost 40 years, you can finally hear the Beatles in The Beatles Live at the Hollywood Bowl, and they sound glorious. 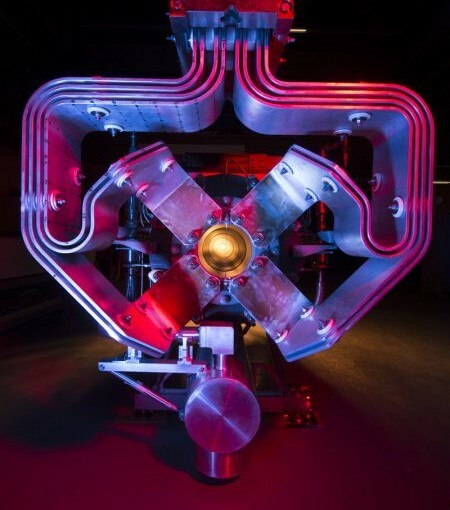 The U.S. Department of Energy’s Fermi National Accelerator Laboratory has achieved a significant milestone for proton beam power. On Jan. 24, the laboratory’s flagship particle accelerator delivered a 700-kilowatt proton beam over one hour at an energy of 120 billion electronvolts. The Main Injector accelerator provides a massive number of protons to create particles called neutrinos, elusive particles that influence how our universe has evolved. Neutrinos are the second-most abundant matter particles in our universe. Trillions pass through us every second without leaving a trace. Because they are so abundant, neutrinos can influence all kinds of processes, such as the formation of galaxies or supernovae. Neutrinos might also be the key to uncovering why there is more matter than antimatter in our universe. They might be one of the most valuable players in the history of our universe, but they are hard to capture and this makes them difficult to study. With more beam power, scientists can provide more neutrinos in a given amount of time. At Fermilab, that means more opportunities to study these subtle particles at the lab’s three major neutrino experiments: MicroBooNE, MINERvA and NOvA. “Neutrino experiments ask for the world, if they can get it. And they should,” said Dave Capista, accelerator scientist at Fermilab. Even higher beam powers will be needed for the future international Deep Underground Neutrino Experiment, to be hosted by Fermilab. DUNE, along with its supporting Long-Baseline Neutrino Facility, is the largest new project being undertaken in particle physics anywhere in the world since the Large Hadron Collider. “It’s a negotiation process: What is the highest beam power we can reasonably achieve while keeping the machine stable, and how much would that benefit the neutrino researcher compared to what they had before?” said Fermilab accelerator scientist Mary Convery. “This step-by-step journey was a technical challenge and also tested our understanding of the physics of high-intensity beams,” said Fermilab Chief Accelerator Officer Sergei Nagaitsev. “But by reaching this ambitious goal, we show how great the team of physicists, engineers, technicians and everyone else involved is.” The 700-kilowatt beam power was the goal declared for 2017 for Fermilab’s accelerator-based experimental program. Particle accelerators are complex machines with many different parts that change and influence the particle beam constantly. One challenge with high-intensity beams is that they are relatively large and hard to handle. Particles in accelerators travel in groups referred to as bunches. Roughly one hundred billion protons are in one bunch, and they need their space. The beam pipes – through which particles travel inside the accelerator – need to be big enough for the bunches to fit. Otherwise particles will scrape the inner surface of the pipes and get lost in the equipment. Such losses, as they’re called, need to be controlled, so while working on creating the conditions to generate a high-power beam, scientists also study where particles get lost and how it happens. They perform a number of engineering feats that allow them to catch the wandering particles before they damage something important in the accelerator tunnel. To generate high-power beams, the scientists and engineers at Fermilab use two accelerators in parallel. The Main Injector is the driver: It accelerates protons and subsequently smashes them into a target to create neutrinos. Even before the protons enter the Main Injector, they are prepared in the Recycler. 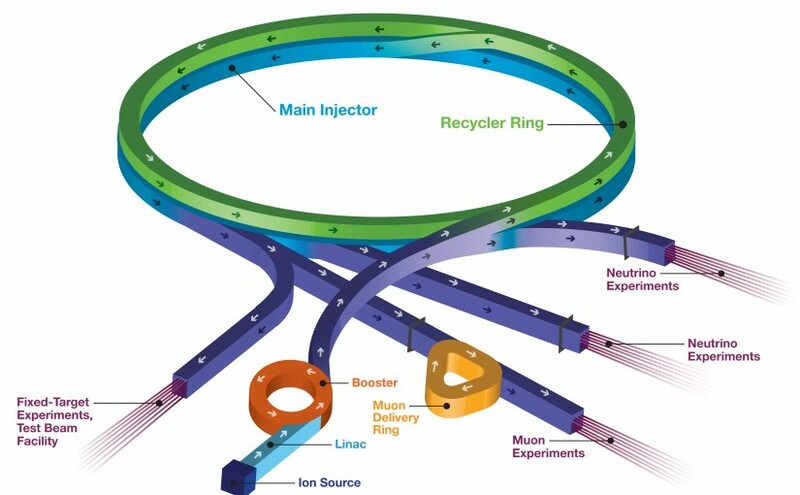 The Fermilab accelerator complex can’t create big bunches from the get-go, so scientists create the big bunches by merging two smaller bunches in the Recycler. A small bunch of protons is sent into the Recycler, where it waits until the next small bunch is sent in to join it. Imagine a small herd of cattle, and then acquiring a new herd of the same size. Rather than caring for them separately, you allow the two herds to join each other on the big meadow to form a big herd. Now you can handle them as one herd instead of two. In this way Fermilab scientists double the number of particles in one bunch. The big bunches then go into the Main Injector for acceleration. This technique to increase the number of protons in each bunch had been used before in the Main Injector, but now the Recycler has been upgraded to be able to handle the process as well. Fermilab scientists and engineers were able to marry two advantages of the proton acceleration technique to generate the desired truckloads of neutrinos: increase the numbers of protons in each bunch and decrease the delivery time of those proton to create neutrinos. The new heights will open many doors for the experiments, but no one will rest long on their laurels. The journey for high beam power continues, and new plans for even more beam power are already under way. New technology has been developed that uses nuclear waste to generate electricity in a nuclear-powered battery. A team of physicists and chemists from the University of Bristol have grown a man-made diamond that, when placed in a radioactive field, is able to generate a small electrical current. The development could solve some of the problems of nuclear waste, clean electricity generation and battery life. Astronomers discovered asteroid 2016 VA on November 1, 2016, just hours before it passed within 0.2 times the moon’s distance of Earth. The near-Earth asteroid 2016 VA was discovered by the Mt. Lemmon Sky Survey in Arizona (USA) on 1 Nov. 2016 and announced later the same day by the Minor Planet Center. The object was going to have a very close encounter with the Earth, at 0.2 times the moon’s distance – about 75,000 km [46,000 miles]. At Virtual Telescope Project we grabbed extremely spectacular images and a unique video showing the asteroid eclipsed by the Earth. The image above is a 60-seconds exposure, remotely taken with “Elena” (PlaneWave 17?+Paramount ME+SBIG STL-6303E robotic unit) available at Virtual Telescope. The robotic mount tracked the extremely fast (570″/minute) apparent motion of the asteroid, so stars are trailing. The asteroid is perfectly tracked: it is the sharp dot in the center, marked with two white segments. At the imaging time, asteroid 2016 VA was at about 200,000 km [124,000 miles] from us and approaching. Its diameter should be around 12 meters or so. During its fly-by, asteroid 2016 VA was also eclipsed by the Earth’s shadow. We covered the spectacular event, clearly capturing also the penumbra effects. The movie below is an amazing document showing the eclipse. Each frame comes from a 5-seconds integration. Asteroid 2016 VA eclipsed by Earth’s shadow. 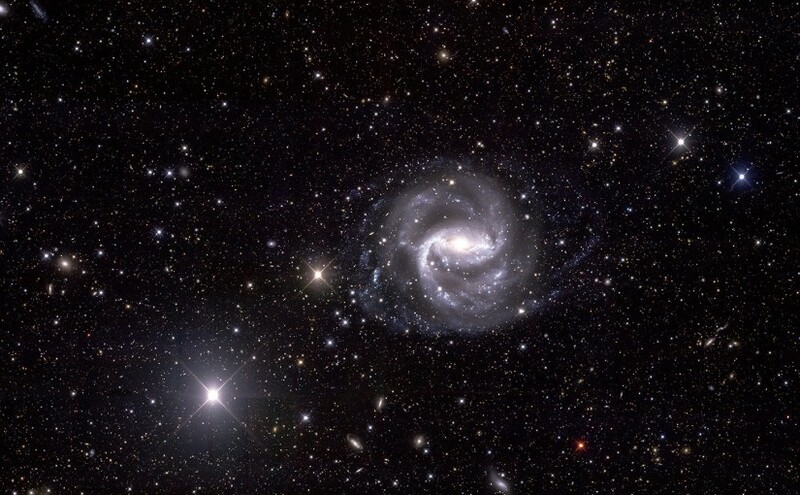 Image via Virtual Telescope Project. The eclipse started around 23:23:56 UT and ended about at 23:34:46. To our knowledge, this is the first video ever of a complete eclipse of an asteroid. Some hot pixels are visible on the image. At the eclipse time, the asteroid was moving with an apparent motion of 1500″/minutes and it was at about 120,000 km [75,000 miles] from the Earth, on its approaching route. You can see here a simulation of the eclipse as if you were on the asteroid. 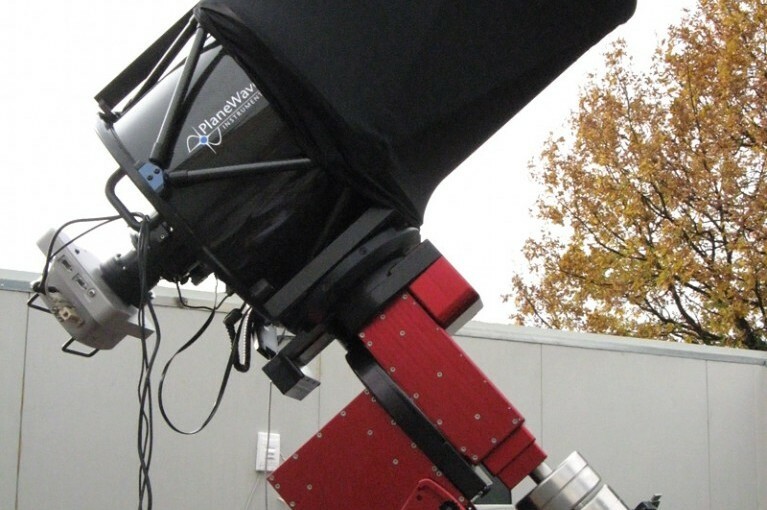 Help support The Virtual Telescope Project! Bottom line: An asteroid called 2016 VA was discovered on November 1, 2016 and passed closest to Earth – within 0.2 times the moon’s distance – a few hours later. Gianluca Masi of the Virtual Telescope Project caught images of the asteroid as it swept by. In a Roman mosaic from antiquity, a man on a street studies the sundial atop a tall column. The sun alerts him to hurry if he does not want to be late for a dinner invitation. 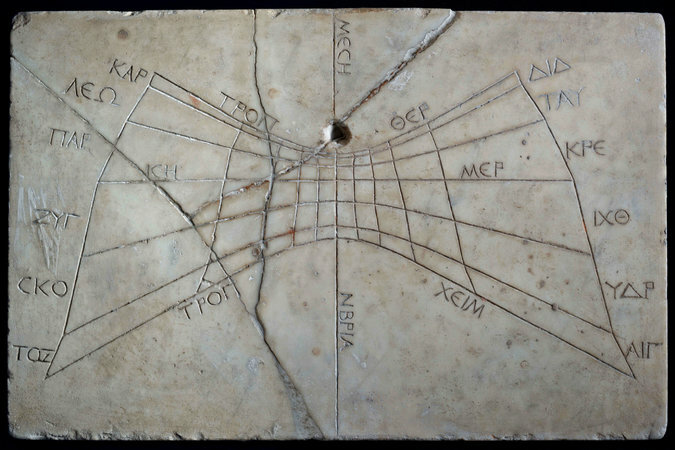 Sundials were ubiquitous in Mediterranean cultures more than 2,000 years ago. They were the clocks of their day, early tools essential to reckoning the passage of time and its relationship to the larger universe. The mosaic image is an arresting way station in a new exhibition, ”Time and the Cosmos in Greco-Roman Antiquity,” that opened last week in Manhattan at the Institute for the Study of the Ancient World, an affiliate of New York University. It will continue until April. The image’s message, the curator Alexander Jones explains in the exhibition catalog, is clearly delivered in a Greek inscription, which reads, “The ninth hour has caught up.” Or further translated by him into roughly modern terms, “It’s 3 p.m. already.” That was the regular dinnertime in those days. The exhibition features more than 100 objects on loan from international collections, including a dozen or so sundials. One is a rare Greek specimen from the early 3rd century B.C. The large stone instruments typically belonged to public institutions or wealthy landowners. A few centuries later, portable sundials were introduced. Think of pocket watches coming in as movable timekeepers in place of the grandfather clock in the hall or on the mantel. They were first mentioned in ancient literature as the pendant for traveling. The earliest surviving one is from the first century A.D.
Six of these small sundials are displayed in the exhibition. These were owned and used mostly as prestige objects by those at the upper echelons of society and by the few people who traveled to faraway latitudes. A bronze sundial in the center of one gallery is marked for use in 30 localities at latitudes ranging from Egypt to Britain. Few people in antiquity were ever likely to travel that widely. A small sundial found in the tomb of a Roman physician suggested that it was more than a prestige object. The doctor happened to be accompanied with his medical instruments and pills for eye ailment, as seen in a display. Presumably he needed a timekeeper in dispensing doses. He may have also practiced some ancient medical theories in which astrology prescribed certain hours as good or bad for administering meals and medicine. Apparent time cycles fascinated people at this time. One means of keeping track of these cycles was the parapegma, a stone slab provided with holes to represent the days along with inscriptions or images to interpret them. Each day, a peg was moved from one hole to the next. The appearances and disappearances of constellations in the night sky yielded patterns that served as signs of predictable weather changes in the solar year of 365 or 366 days. Not to mention when conditions are favorable for planting and reaping. Not to mention good or bad luck would follow. For many people, astrology was probably the most popular outgrowth of advances in ancient timekeeping. Astrology — not to be confused with modern astronomy — emerged out of elements from Babylonian, Egyptian and Greek science and philosophy in the last two centuries B.C. Because the heavens and the earth were thought to be connected in so many ways, the destinies of nations as well as individuals presumably could be read by someone with expertise in the arrangements of the sun, the moon, the known planets and constellations in the zodiac. Wealthy people often had their complete horoscopes in writing and zodiacal signs portrayed in ornamental gems, especially if they deemed the cosmic configuration at their conception or birth to be auspicious. It is said that the young Octavian, the later emperor Augustus, visited an astrologer to have his fortune told. He hesitated at first to disclose the time and date of his birth, lest the prediction turn out to be inauspicious. He finally relented. When the astrologer read Octavian’s horoscope, he threw himself at the feet of Rome’s emperor destined to be. With confidence that a great future was written in his stars, Augustus made his horoscope public. He exploited the Goat-Fish constellation, Capricorn, as his personal zodiacal sign and a symbol of power in the first century A.D.
For a long time afterward, emperors often used the imagery of Capricorn, a hybrid land and marine animal, to symbolize their power on land and sea and to illustrate their lineage as Augustus’s successor. The Time and Cosmos exhibition will run through April 23 at the Institute for the Study of the Ancient World, 15 East 84th St. The galleries are open free Wednesday to Sunday, 11 a.m. to 6 p.m., and until 8 p.m. on Fridays. Put it on your desk calendar and also on other timekeeping devices, post Greco-Roman. In December the Program for International Student Assessment (PISA) will announce the latest results from the tests it administers every three years to hundreds of thousands of 15-year-olds around the world. In the last round, the U.S. posted average scores in reading and science but performed well below other developed nations in math, ranking 36 out of 65 countries. We do not expect this year’s results to be much different. Our nation’s scores have been consistently lackluster. Fortunately, though, the 2012 exam collected a unique set of data on how the world’s students think about math. The insights from that study, combined with important new findings in brain science, reveal a clear strategy to help the U.S. catch up. The PISA 2012 assessment questioned not only students’ knowledge of mathematics but also their approach to the subject, and their responses reflected three distinct learning styles. Some students relied predominantly on memorization. They indicated that they grasp new topics in math by repeating problems over and over and trying to learn methods “by heart.” Other students tackled new concepts more thoughtfully, saying they tried to relate them to those they already had mastered. A third group followed a so-called self-monitoring approach: they routinely evaluated their own understanding and focused their attention on concepts they had not yet learned. In every country, the memorizers turned out to be the lowest achievers, and countries with high numbers of them—the U.S. was in the top third—also had the highest proportion of teens doing poorly on the PISA math assessment. Further analysis showed that memorizers were approximately half a year behind students who used relational and self-monitoring strategies. In no country were memorizers in the highest-achieving group, and in some high-achieving economies, the differences between memorizers and other students were substantial. In France and Japan, for example, pupils who combined self-monitoring and relational strategies outscored students using memorization by more than a year’s worth of schooling. The U.S. actually had more memorizers than South Korea, long thought to be the paradigm of rote learning. Why? Because American schools routinely present mathematics procedurally, as sets of steps to memorize and apply. Many teachers, faced with long lists of content to cover to satisfy state and federal requirements, worry that students do not have enough time to explore math topics in depth. Others simply teach as they were taught. And few have the opportunity to stay current with what research shows about how kids learn math best: as an open, conceptual, inquiry-based subject. The foundation all math students need is number sense—essentially a feel for numbers, with the agility to use them flexibly and creatively (watch a video explaining number sense here: https://www.youcubed.org/what-is-number-sense/). A child with number sense might tackle 19 × 9 by first working with “friendlier numbers”—say, 20 × 9—and then subtracting 9. Students without number sense could arrive at the answer only by using an algorithm. To build number sense, students need the opportunity to approach numbers in different ways, to see and use numbers visually, and to play around with different strategies for combining them. Unfortunately, most elementary classrooms ask students to memorize times tables and other number facts, often under time pressure, which research shows can seed math anxiety. It can actually hinder the development of number sense. Additional evidence tells us that students gain a deeper understanding of math when they approach it visually—for instance, seeing multiplication facts as rectangular arrays or quadratic functions as growing patterns. When we think about or use symbols and numbers, we use different brain pathways than when we visualize or estimate with numbers. In a 2012 imaging study, psychologist Joonkoo Park, now at the University of Massachusetts Amherst, and his colleagues demonstrated that people who were particularly adept at subtraction—considered conceptually more difficult than addition—tapped more than one brain pathway to solve problems. And a year later Park and psychologist Elizabeth Brannon, both then at Duke University, found that students could boost their math proficiency through training that engaged the approximate number system, a cognitive system that helps us estimate quantities. Brain research has elucidated another practice that keeps many children from succeeding in math. Most mathematics classrooms in the U.S. equate skill with speed, valuing fast recall and testing even the youngest children against the clock. But studies show that kids manipulate math facts in their working memory—an area of the brain that can go off-line when they experience stress. Timed tests impair working memory in students of all backgrounds and achievement levels, and they contribute to math anxiety, especially among girls. By some estimates, as many as a third of all students, starting as young as age five, suffer from math anxiety. 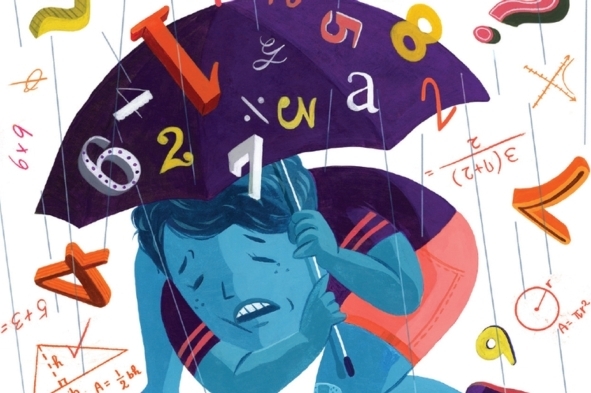 A number of leading mathematicians, such as Conrad Wolfram and Steven Strogatz, have argued strongly that math is misrepresented in most classrooms. Too many slow, deep math thinkers are turned away from the subject early on by timed tests and procedural teaching. But if American classrooms begin to present the subject as one of open, visual, creative inquiry, accompanied by growth-mindset messages, more students will engage with math’s real beauty. PISA scores would rise, and, more important, our society could better tap the unlimited mathematical potential of our children. Neutrinos are tricky. Although trillions of these harmless, neutral particles pass through us every second, they interact so rarely with matter that, to study them, scientists send a beam of neutrinos to giant detectors. And to be sure they have enough of them, scientists have to start with a very concentrated beam of neutrinos. An experiment’s neutrino beam is born from a shower of short-lived particles, created when protons traveling close to the speed of light slam into a target. But that shower doesn’t form a tidy beam itself: That’s where the neutrino horn comes in. Once the accelerated protons smash into the target to create pions and kaons — the short-lived charged particles that decay into neutrinos — the horn has to catch and focus them by using a magnetic field. The pions and kaons have to be focused immediately, before they decay into neutrinos: Unlike the pions and kaons, neutrinos don’t interact with magnetic fields, which means we can’t focus them directly. “Of the major labs, we currently have the most expertise in horn construction here at Fermilab,” Hylen said. Once the beam hits the target, the neutrino horn directs resulting particles that come out at wide angles back toward the detector. To do this, it uses magnetic fields, which are created by pulsing a powerful electrical current — about 200,000 amps — along the horn’s surfaces. The horn’s current flows in a way that funnels positively charged particles that decay into neutrinos toward the beam and deflects negatively charged particles that decay into antineutrinos outward. Reversing the current can swap the selection, creating an antimatter beam. Experiments can run either beam and compare the data from the two runs. By studying neutrinos and antineutrinos, scientists try to determine whether neutrinos are responsible for the matter-antimatter asymmetry in the universe. Similarly, experiments can control what range of neutrino energies they target most by tuning the strength of the field or the shape or location of the horn. Because of the various pressures acting on the horn, its design requires extreme attention to detail, down to the specific shape of the washers used. And as Fermilab is entering a precision era of neutrino experiments running at higher beam powers, the need for the horn engineering to be exact has only grown. To help his readers fathom evolution, Charles Darwin asked them to consider their own hands. Darwin had a straightforward explanation: People, moles, horses, porpoises and bats all shared a common ancestor that grew limbs with digits. Its descendants evolved different kinds of limbs adapted for different tasks. But they never lost the anatomical similarities that revealed their kinship. As a Victorian naturalist, Darwin was limited in the similarities he could find. The most sophisticated equipment he could use for the task was a crude microscope. Today, scientists are carrying on his work with new biological tools. They are uncovering deep similarities that have been overlooked until now. 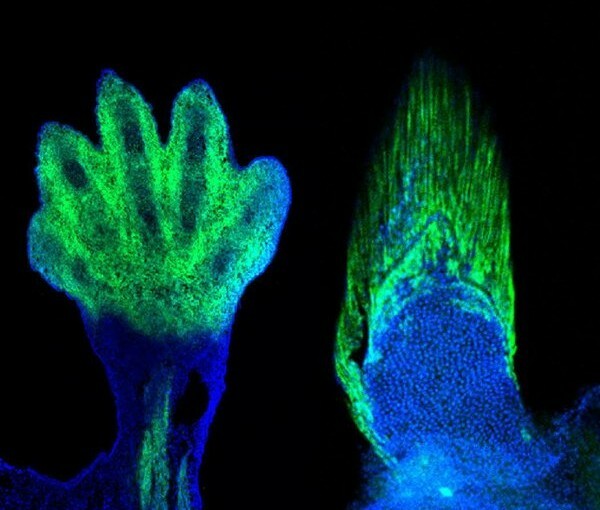 On Wednesday, a team of researchers at the University of Chicago reported that our hands share a deep evolutionary connection not only to bat wings or horse hooves, but also to fish fins. The unexpected discovery will help researchers understand how our own ancestors left the water, transforming fins into limbs that they could use to move around on land. To the naked eye, there is not much similarity between a human hand and the fin of, say, a goldfish. A human hand is at the end of an arm. It has bones that develop from cartilage and contain blood vessels. This type of tissue is called endochondral bone. A goldfish grows just a tiny cluster of endochondral bones at the base of its fin. The rest of the fin is taken up by thin rays, which are made of an entirely different tissue called dermal bone. Dermal bone does not start out as cartilage and does not contain blood vessels. These differences have long puzzled scientists. The fossil record shows that we share a common aquatic ancestor with ray-finned fish that lived some 430 million years ago. Four-limbed creatures with spines — known as tetrapods — had evolved by 360 million years ago and went on to colonize dry land. 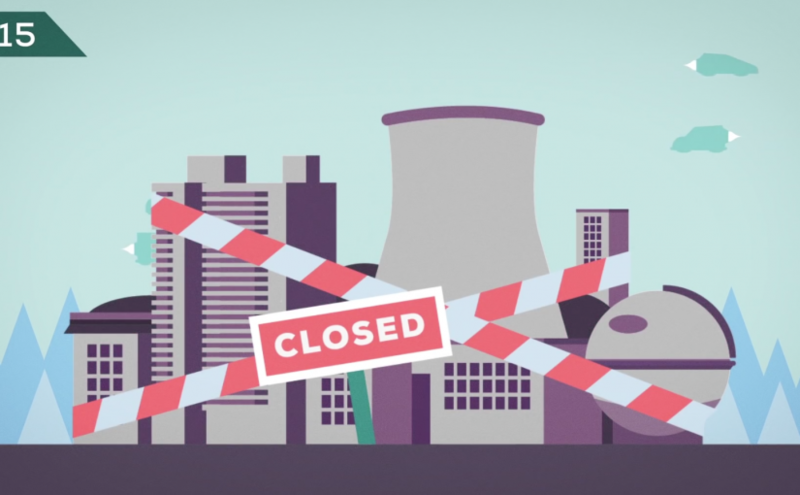 Watch Part 2 and Part 3 of this Series by Kurzgesagt – In a Nutshell on YouTube. Posted on July 25, 2016 September 1, 2016 Categories Contributed, Learning, Physics, STEAMLeave a comment on Nuclear Energy Explained: How does it work? You may not know much about helium, except that it fills birthday balloons and blimps and can make even the most stentorian voice sound a bit like Donald Duck. But helium is an important gas for science and medicine. Among other things, in liquid form (a few degrees above absolute zero) it is used to keep superconducting electromagnets cold in equipment like M.R.I. 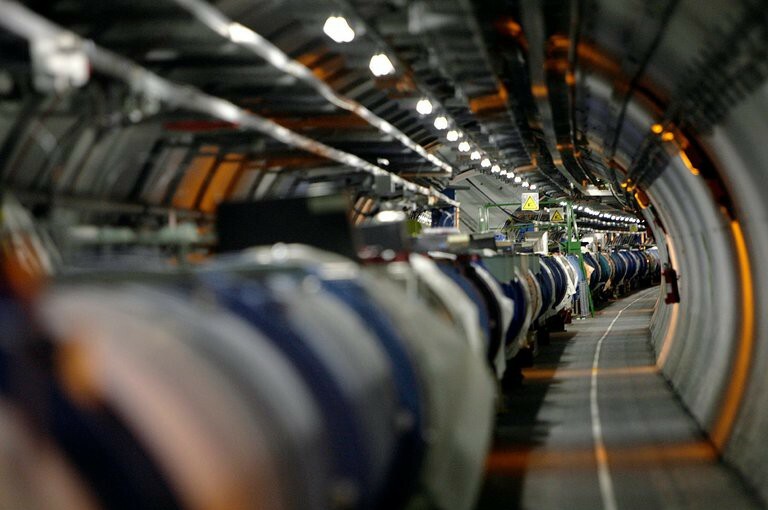 machines and the Large Hadron Collider at CERN, the European Organization for Nuclear Research, which uses 265,000 pounds of it to help keep particles in line as they zip around. Helium’s role in superconductivity and other applications has grown so much that there have been occasional shortages. The gas forms in nature through radioactive decay of uranium and thorium, but exceedingly slowly; in practical terms, all the helium we will ever have already exists. And because it does not react with anything and is light, it can easily escape to the atmosphere. But now scientists have figured out a way to explore specifically for helium. Using their techniques, they say, they have found a significant reserve of the gas in Tanzania that could help ease concerns about supplies. “We’re essentially replicating the strategy for exploring for oil and gas for helium,” said Jonathan Gluyas, a professor of geoenergy at the Durham University in England. One of his graduate students, Diveena Danabalan, presented research on the subject on Tuesday in Yokohama, Japan, at the Goldschmidt Conference, a gathering of geochemists. One key to developing the technique, Dr. Gluyas said, is understanding how helium is released from the rock in which it forms. Ordinarily, a helium atom stays within the rock’s crystal lattice. “You need a heating event to kick it out,” he said. Volcanoes or other regions of magma in the earth can be enough to release the gas, he said. Once released, the helium has to be trapped by underground formations — generally the same kind of formations that can trap natural gas, and that can be found using the same kind of seismic studies that are undertaken for oil and gas exploration. The helium, which is mixed with other gases, can be recovered the same way natural gas is: by drilling a well. Working with scientists from the University of Oxford and a small Norwegian start-up company called Helium One, the researchers prospected in a part of Tanzania where studies from the 1960s suggested helium might be seeping from the ground. The area is within the East African Rift, a region where one of Earth’s tectonic plates is splitting. The rifting has created many volcanoes. Dr. Gluyas said the gas discovered in Tanzania may be as much as 10 percent helium, a huge proportion compared with most other sources. The researchers say the reservoir might contain as much as 54 billion cubic feet of the gas, or more than twice the amount currently in the Federal Helium Reserve, near Amarillo, Tex., which supplies about 40 percent of the helium used in the United States and is being drawn down. The next step would be for Helium One or one of the major helium suppliers around the world to exploit the find. But for Dr. Gluyas, the research opens up the possibility of finding the gas in new places. “We’re in the position where we could map the whole world and say these are the sorts of areas where you’d find high helium,” he said.